Davy and Micky in black and white made from the album "More of The Monkees." 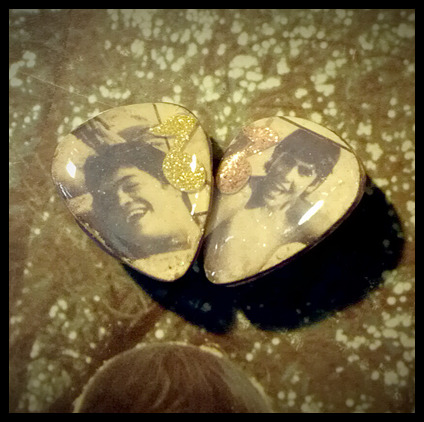 Monkees guitar pick earrings feature dried flowers, music notes, and are sealed with epoxy resin and Mod Podge. Clip on style earrings.